NASA's New Horizons spacecraft is speeding toward a New Year's Day 2019 rendezvous with Kuiper Belt object 2014 MU69, set to be the farthest planetary encounter in history. 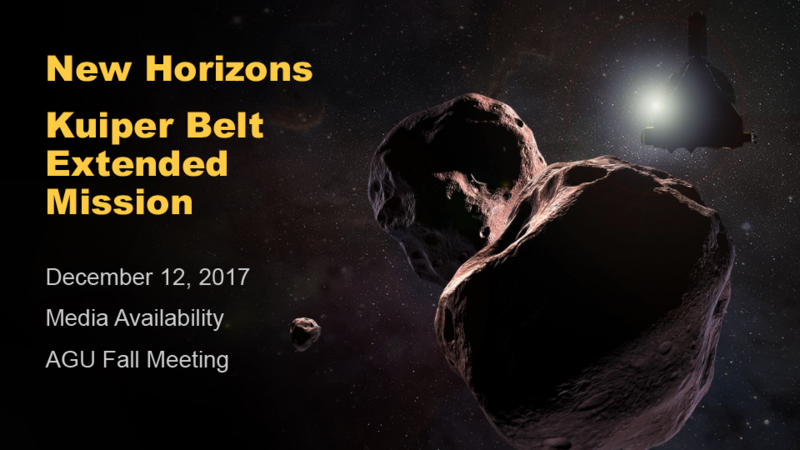 On Dec. 12, the New Horizons team briefed the media at the 2017 American Geophysical Union (AGU) Fall Meeting in New Orleans, covering the scientific and operational elements of this amazing exploration. 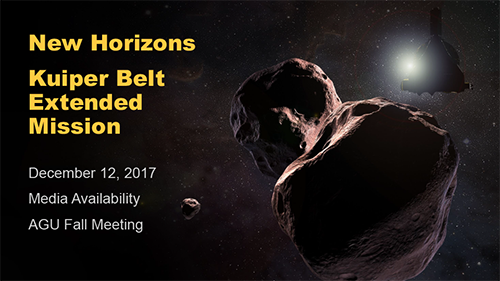 The team discussed the initial recon on MU69, the dozens of observations of other KBOs that no other spacecraft can provide, and how this multifaceted mission through the Kuiper Belt builds on the discovery and unprecedented excitement of New Horizons' 2015 Pluto encounter.